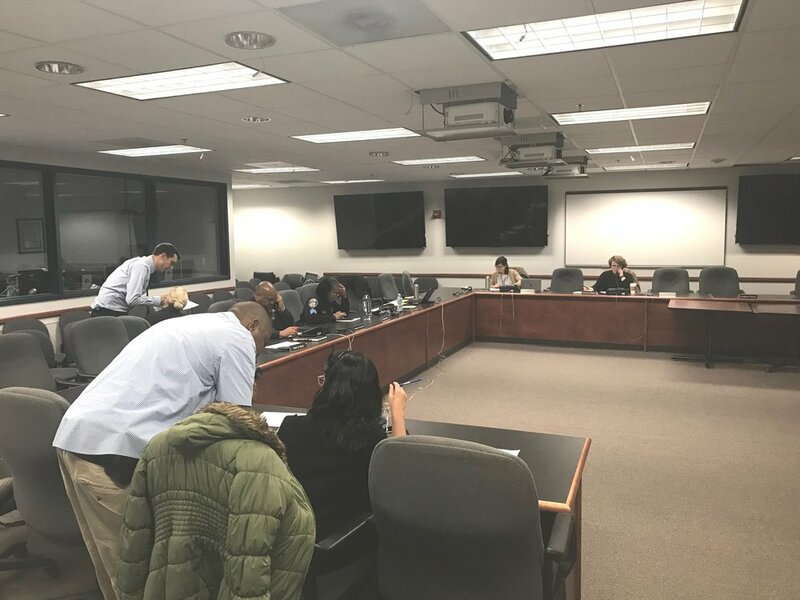 BPD Recruitment and Hiring Unit and i-team make calls to candidates to answer questions and encourage candidates to complete the next step of the selection process. BPD and i-team hold second panel interview pilot. BPD and i-team communicate the BPD’s new hiring process to applicants. Belair-Edison Neighborhoods, Inc. takes i-team on Belair-Edison Tour. NEOGOV, the city’s web-based hiring platform will replace BPD’s current applicant tracking system implemented in Lotus Approach (shown above), an outdated piece of software that does not provide visibility into the selection process. BPD using platform to improve engagement with applicants. i-team delivers customer service training for new BPD recruitment concierges. i-team design strategist makes list for world’s 100 most influential young people in government. Community members, human resource professional, and BPD officers interview a BPD Academy Trainee. Initial feedback on BPD pilot panel interview positive. i-team and MICA collaborate on housing research and design. i-team welcomes MICA and Baltimore Corps Fellows. Flyer announcing test of BPD recruitment and hiring initiatives designed for community involvement. i-team and BPD test community involvement in recruitment and hiring. i-team shares the portfolio of BPD recruitment and hiring initiatives. i-team Director gives highlights on team’s progress and what lies ahead. Marketing firms respond to BPD Request for Proposals. BPD will replace Civil Service exam with scenario-based video exam. With help from the i-team, the BPD saw their cadet program become a state-accredited apprenticeship program this week. Mayor Pugh and Police Commissioner Tuggle both stopped by the Police Fitness Bootcamp to provide words of encouragement to participants. The i-team recently presented a draft service blueprint and new staffing structure to the BPD Recruitment Unit.